In Scouting, blazing your own trail comes with the territory. For two Scouting moms, 8th Nepean Group Commissioner Tianna Rowan and Colony Section Scouter Cynthia Woods, launching a Scouting Group in May of 2017 carved a new path for youth and volunteers in her area. After speaking with the local Area Manager and Commissioner, Tianna stepped up to the plate of Group Commissioner to get the ball rolling, while Cynthia became a Colony Section Scouter. Before long, word of mouth carried news of the Group to families and youth in the community, and volunteers began to pour in. Where there’s a will, there’s a way, and thanks to Tianna and Cynthia’s efforts, the 8th Nepean Group quickly became a path well-travelled. The Group’s formation began with an open house at the nearby school, where Tianna invited parents and adults to come and learn about the Scouts Canada program. “That’s where everything really started to grow and blossom into what it is now,” Tianna explains. It was at the open house that she explained the need for adults to fill specific roles requiring long-term commitment in order for the Group to take-off and survive. “Our Administrator has two kids that are too young for Scouting right now, but he joined so that when they are of age, the Group will still be there for them to join,” Tianna shares. After these foundational positions were occupied, the Group began their routine of official committee meetings and started to develop plans. To attract more members, the Group dedicated themselves to: posting flyers in local parks where families frequent, reaching out to community associations and requesting mentions in newsletters or social media outreach, asking principals from the community’s schools to notify parents of the new Group, and attending a school barbeque to focus on recruitment. Outreach also sprang from the Group’s early Beaver members, whose fun stories from their Scouting experiences sparked curiosity among other children—Bring a Friend night became increasingly popular as a result, needless to say. For Tianna and her fellow adult leaders, who are strong supporters of the Canadian Path, they believe that youth-led programming will encourage members to return to Scouting each year, as well as volunteers, maintaining the Group’s ever-growing pace. Although 8th Nepean is relatively new, the eager Beavers are already taking initiative with the program’s youth-led approach. 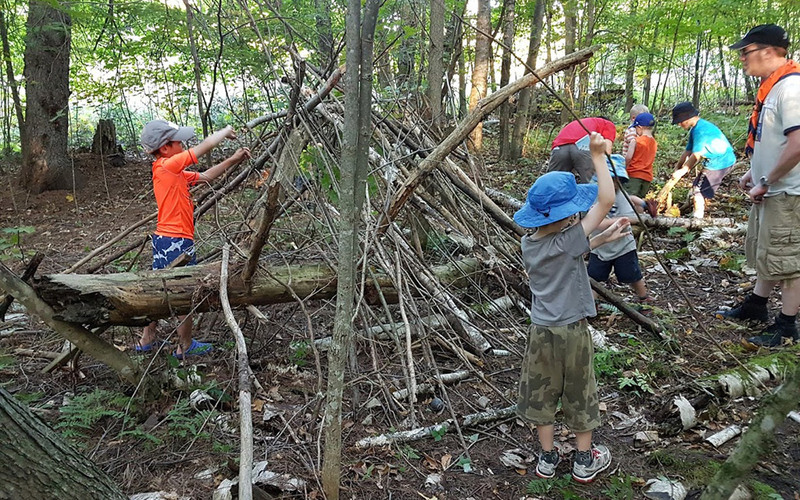 They’ve just returned from a fall trip to Camp Opemikon, where the Beavers selected low-ropes as their activity, paired with shelter building and hiking, and created their own menu for the camp. Soon after, the Beavers expressed interest in arranging an additional five camps over the Scouting year. The youth have also planned an upcoming cosmic adventure sleepover at an entertainment facility with a large climbing structure inside. Entering at closing time, the Beavers will get to enjoy the structure communally, with its bouncing pads, mesh areas and ample slides. Followed by snacks and crafts, the Beavers then get to enjoy a night’s sleep beneath shining disco balls near the play structure. While the 8th Nepean Group currently houses Beavers, they are hoping to expand to include new sections each year. 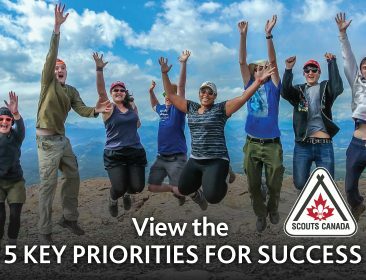 To learn how you can get involved with 8th Nepean, find a Group near you or start your own Scouting Group, visit scouts.ca/join.